This outfit was worn for a girly day of catching up, tea and playing dress up with jewellery. It was during a spell of sun, hence why I'm only wearing a cardigan. Needless to say I'm wrapped up and watching the snow fall now, as I type this. April....? 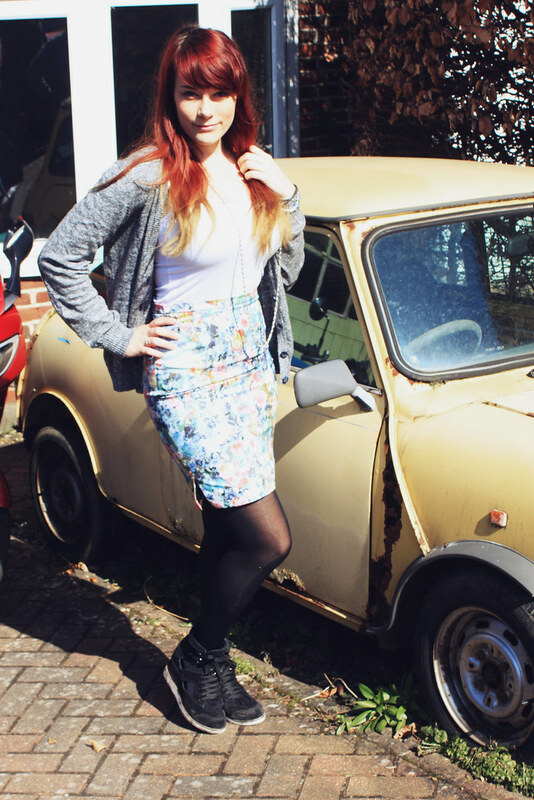 The cardigan, which I purchased for just £5, the skirt, another £5 have been my most recent bargains! I'm sure my skirt is the reason the sun is desperately trying to break through. Right?